Posted in: ex racing greyhounds, GPA, greyhound events, greyhound meet and greets, Greyhound photos, Greyhounds meeting the public, Planet Greyhound, Rescued/Retired Greyhounds. Tagged: ex racing greyhounds, Greyhound adoption, greyhound photos, racing greyhound, sight hounds. Here are a few pics of today’s (3/28/2015) ex-racing greyhounds Meet & Greet at Petco in Cape Girardeau, Mo. It was a small turnout today with just four dogs, but they did their jobs as ambassadors for the breed and for greyhound adoption very well. Kendall & Bethany Rhodes attended with “Jade”, John Hamen with “Ben” and Cindy & I with Vladimir and Vitali. 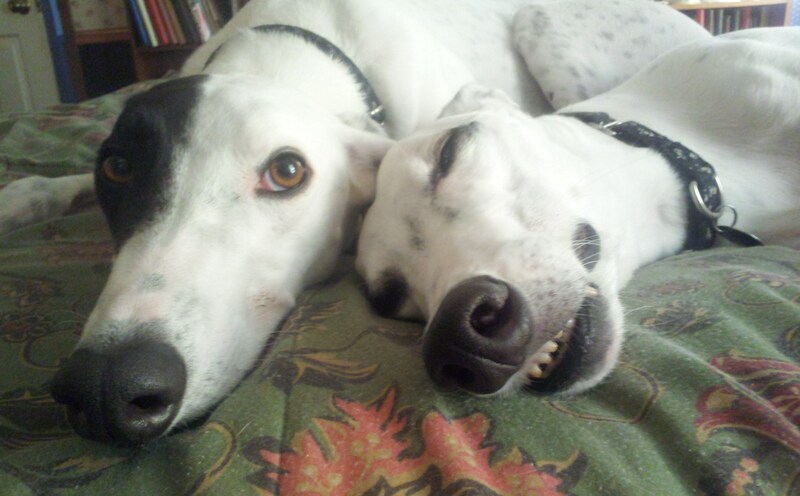 Posted in: ex racing greyhounds, Greyhound photos, greyhound pictures, Planet Greyhound. 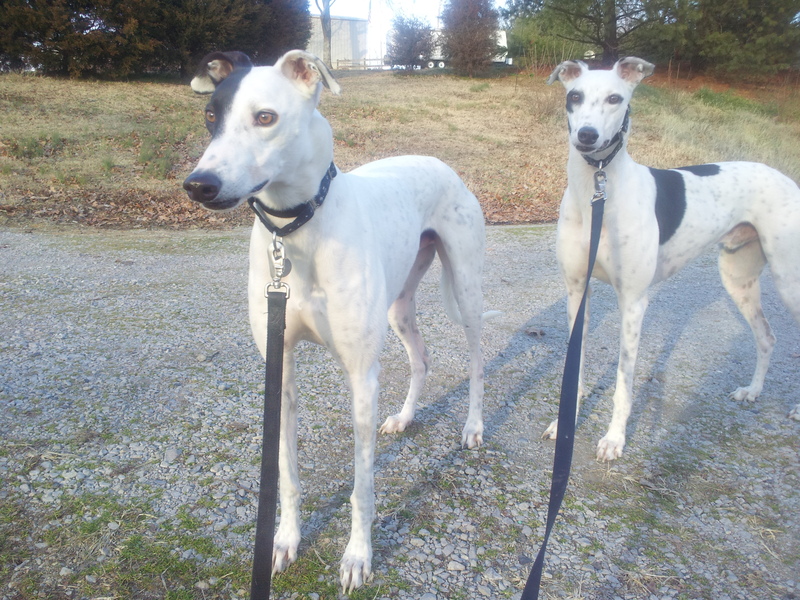 Tagged: Greyhound adoption, greyhound photos, greyhounds as pets, racing greyhound. A few photos of Vladimir and Vitali and some of their ex racing greyhound friends. Greyhounds are noted for their sensitivity, patience, loyalty, tolerance, trust, friendliness, gentleness, sweetness, affection, etc. Generally, Greyhounds are very good natured animals and make remarkable pets. If you’re happy & you know it….. The Greyhound is an extremely powerful and muscular dog. The breed has a long, slim tail and legs. The chest is narrow and deep, while the waist is extremely slender. The breed also has a long and narrow head, neck and muzzle giving the Greyhound an extremely aerodynamic body. They have large hearts, lungs and muscles required for its famous double suspension gallop and incredible bursts of speed. The ears of a greyhound fold flat against its neck when running, similar to the wings on a departing bird or plane. Tall and lean, the Greyhound is the worlds fastest breed of dog. As a sight hound, the breed pursues game using its vision and speed. Today, however, the Greyhound primarily serves as a sweet and personable companion. The breed can be any color, including black, fawn and red, often combined with white or brindle markings. The Greyhound has been owned by many prominent figures in history, including President Rutherford B. Hayes and General George A. Custer. The greyhound has his eyes well positioned at the sides of his head giving him a far wider field of view than other dogs (270 degrees versus 180 degrees.) They can actually see things that are behind them. They are sight hounds and can spot movement up to half a mile away. Greyhound racing became popular in the 1920’s as the aerodynamic build and size of the breed allows them to be the fastest dogs in the world. The Greyhound can reach speeds of up to 45 miles per hour in less than 3 seconds! Greyhounds are undoubtedly the best sprinters, not only in the dog world, but in any world, having the fastest acceleration of any land animal on earth, topped only by the Cheetah. One of the most ancient breeds known to man, evidence of the Greyhound was first discovered in tomb carvings in Egypt dating back to 2900 B.C. Aristocracy and culture has always surrounded the Greyhound, and in early times, only royalty bred them. As hunters in England, they were used on practically all kinds of game from deer, stags and foxes, but the hare is the Greyhound’s natural quarry. In America, Greyhounds arrived with the Spanish explorers in the 1500s and were among the first dogs recorded at American dog shows. Although the breed is extremely athletic and fast, they are surprisingly mellow. They are not as hyperactive as is commonly believed, nor do they require constant exercise. They are often referred to as 45 mile per hour couch potatoes. Greyhounds are one of the most common rescue breeds in the world, due to the fact that racetracks have in the past euthanized (killed) them in huge numbers after they are too old or slow to race any longer, or have been injured and are no longer profitable. This still happens, however thanks to the determination of many rescue organizations, the tracks and breeders are watched more closely and it has become increasingly tougher for them to get away with such wanton acts of violence toward this gentle breed. Is A Greyhound Right For You? Although a loving companion, the Greyhound possesses the typical independent spirit of the hound, so patient training is necessary. They enjoy the company of their families as well as other dogs. The breed’s short, smooth coat is easy to maintain. 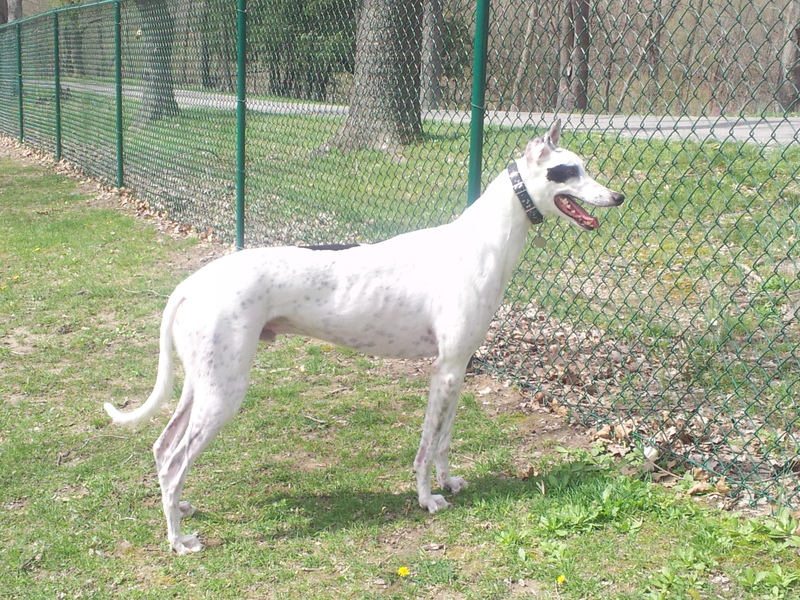 Due to the Greyhound’s athleticism, they need daily exercise, although a short walk a couple times a day will suffice. They should be kept on leash or in a fenced area due to their tendency to run and with their acceleration they would be a football field away before you could get a word out of your mouth. Many greyhounds have a definite prey instinct and some will chase anything that moves quickly. Due to this, some are not suitable to live with cats or other small animals. The breed, however, is a pack animal and is happiest when there are people or other large animals around for companionship. Greyhounds can vary in degrees of their ability to get along with smaller pets. Our two boys, Vladimir & Vitali have no problem at all with any of our cats, either the inside ones or the outside ones, nor have they ever caused an issue with our little parrot (sun conure) when it is out exploring in the house. When thinking about adopting one of these magnificent creatures, you can pretty much put your order in for one that suits your lifestyle. Want an older one, you got it, want one that’s cat friendly, you got it, want a certain color, you can get it. There are so many that need loving homes, you can just about “special order” your grey just the way you want him/her. Contact your local greyhound rescue organization and find out what they can do for you! The Greyhound is arguably the purest breed on Earth, appearing to have changed little from dogs depicted on the tombs of Egyptian pharaohs. Bred and prized for their keen eye sight, greyhound dogs are classified as sight hounds, and their build solidly indicates the intentions of the breeders for speed in this breed. They are the fastest dogs on earth, reaching top speeds of over 45 miles per hour in little under three seconds, but don’t let that impressive fact fool you. Greyhound dogs are vastly considered by their owners to be gentle, 45 mile per hour couch potatoes. They thoroughly enjoy slacking and loafing and are never high strung or hyper, and they rarely allow any other animals to “get their goat”. Cool as cucumbers, these sprinters are happy with a 20 minute walk each day as the proper amount of exercise. They are graceful dogs that are frequently compared to cats due to their calm and reserved behavior. They are not aggressive, which make them perfect companions for children and the elderly. Greyhound dogs were the target of a horrible respiratory disease epidemic which found hoards of them dead and 1200 more of them quarantined during the year 2006. This greyhound flu also occurred in other breeds, however, it was so much more ferocious because of the spread of it around the tracks and kennels due to the close living proximity of greyhound dogs. The most prominent causes of death in greyhound dogs are track injuries and respiratory illnesses, but they tend to live long lives when enjoyed as pets or rescued from the racing industry. Unfortunately, in years past, there were huge numbers of these gorgeous creatures killed by track personnel just because they were too slow, had lost too many races, were injured beyond their capability to any longer race or any other reason they decided the dogs were no longer needed. The huge number of the dogs that were killed dwarfed in comparison the number that died from any type of natural death. Thankfully, with the rise of many rescue groups this number has dropped dramatically, however the issue still exists. If you are interested in adopting or acquiring a greyhound as a pet, you will find that there are a great many fans of the breed who have done an outstanding amount of work to save, nurture, and readjust these beautiful dogs for family home life. They are great with kids and they need very little extracurricular games or projects to keep them busy. They are not big chewers, and they will most likely doze peacefully on the sofa while you go about your day, greeting you drowsily when you return. Your male will be tall, at about 30 inches at the wither, and weigh from 70 – 85 pounds. Females, a bit smaller, will measure around 28 inches and from 60 – 75 pounds. If you just happen to be in the Southeast Missouri or Southern Illinois area, there is a banner link for Greyhound Pets of America (GPA) at the bottom of the page you can click on to get an application to start the process. 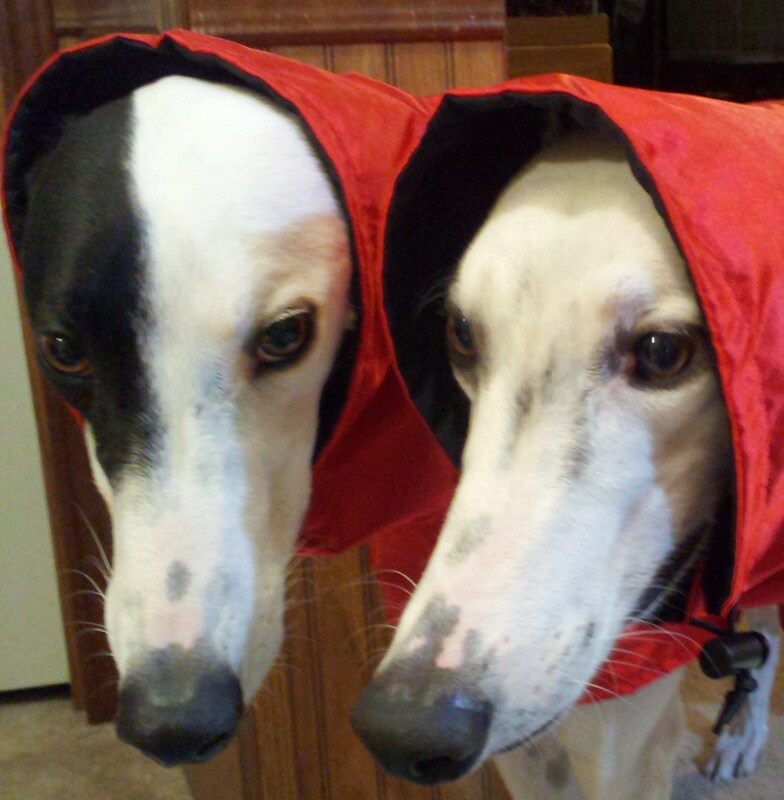 Caution – greyhounds can be highly addictive. In most instances, once a greyhound owner, always a greyhound owner. Many times one greyhound pet expands to several at the same time!